Breakfast at C&L Services – Our Way to Say Thank You! At C&L Services, we believe breakfast is the most important meal of the day, too many people have nothing more than a coffee or a doughnut in the morning. So showing our co-workers how much we appreciate them by offering them breakfast at the office has become a semi-annual tradition at C&L Services. Having a chance for all of us to sit down for a meal together gives everyone a time to relax and socialize before starting or ending the workday. The 5:00 a.m. – 9:00 a.m. time slot was selected because all 6 divisions cross paths at the corporate offices which made the timing perfect for a breakfast. Over 55 employees stopped by the makeshift kitchen setup outside the mechanics garage, stayed on the clock and were served a delicious breakfast including pancakes stacked high, fresh eggs, sausage, bagels, coffee, hash browns, crispy bacon, juices and some casual music to elevate the celebration. Stepping out of the daily activity and mixing things up with a breakfast which shows our appreciation is one of the steps to keeping happy employees and helps us retain happy clients. “Our goal of customer satisfaction begins with us and taking care of the employees who, in return, take care of our customers”, Gabe Vitale Jr. continued “The event was a smashing success!”. 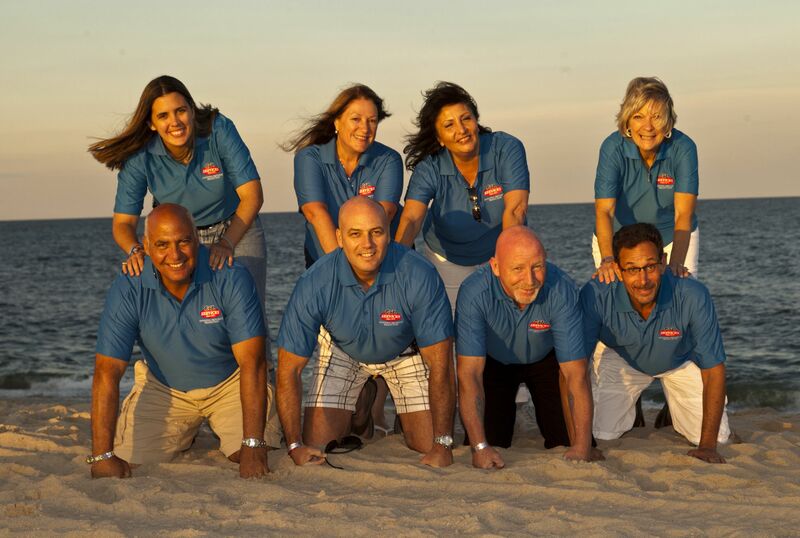 C&L Services is a family owned and operated business in Jackson, NJ that is three generations strong and growing! Specializing in street sweeping, property maintenance, asphalt repair, power washing for over 40 years. C&L has been recognized and awarded “Sweeper of the Year Award!” Read the full story here! 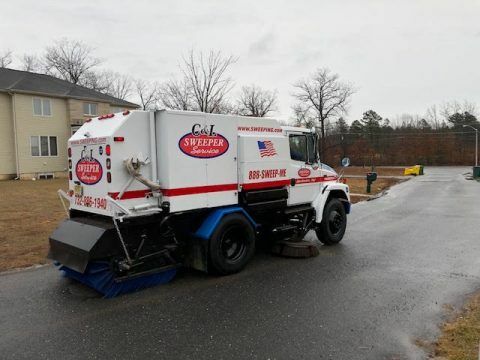 C & L Services, one of New Jersey’s leading full-service property maintenance and street sweeping companies, has announced expansion into the Northern New Jersey metropolitan market with the acquisition of Apgar Power Sweeping. C & L Services completes the acquisition in May 2017 and began local operations in June 2017. C & L will be able to quickly respond to clients in an extensive North Jersey territory including Sussex, Passaic, Bergen, Essex, Morris, Warren, Hunterdon, Somerset, Union and Middlesex Counties. C & L has provided customized property maintenance and street cleaning solutions to a wide range of clients for more than 45 years. C & L provides municipal street cleaning, residential street cleaning and construction street cleaning to a variety of private and governmental clients throughout New Jersey. Apgar Power Sweeping will continue to operate with their current clients and provide additional services with the support of the C & L team. Street Sweeping – Technology or Magic? Arthur Clarke, the famous science fiction author is known for the quote, “Any sufficiently advanced technology is indistinguishable from magic”. Of course, most people don’t equate street sweeping with magic…but people do go to sleep at night with dirty, debris-laden streets, and the next morning…voila! the debris and trash is gone from the streets! Like magic! I’m not sure anyone really notices (except when the streets are particularly unsightly), but it does sometimes seem like magic to get something as large as a street (or a town or a city) from messy to clean. And swept clean in a very short period of time. Street Sweeping – A Village or A Fleet? Did you know it takes a village AND a fleet to keep a village clean? Not only is a village needed to be cleaned, but the people (villagers?) who live in them consider street sweeping to be important enough to carry out regularly. And then it takes a fleet to keep that village clean. At C & L Services we’ve been building our fleet (over three generations) and regularly keep many villages, towns, communities, parking lots, stadiums, hospitals, etc clean with street sweeping. Here’s a recent shot of our fleet yard in Jackson, NJ. Our fleet has grown to over 30 different vehicles. Street sweepers for street sweeping. Pickup trucks for property maintenance portering. Box trucks for large property maintenance projects, power washing, pavement maintenance, line striping. We’ve even maintain a full-time staff of mechanics to keep these trucks and vehicles in tip-top shape. We’re in our 46th year and still growing. Our business started in 1971 with Charlie Vitale who had purchased a second-hand sweeper from his brother in law. Charlie’s brother in law owned a junkyard and there was a second-hand sweeper in good running order and it was priced right. That’s Charlie driving one of the many street sweepers that were added to the fleet. Gabe Vitale, Charlie’s son, joined the business shortly after. Gabe’s son Gabe Vitale Jr. and daughter Lauren Vitale also joined in 2010. Three Generations! With demand for professional street sweeping, C & L Services has expanded into Northern NJ. In June of 2017, C & L Services acquired Apgar Power Sweeping, a well respected Street Sweeping company in Northern NJ. Gabe Vitale, Jr., VP of Operations for C & L Services in Jackson stated, “We have been serving all regions of NJ since my Father and Grandfather established the business, however, we want to be able to respond more quickly to our clients in the North Jersey region. Street Sweeping – The Future Holds Promise. C&L Services is celebrating over 45 years of great customer relationships. C&L has become the industry leader in outstanding award-winning service and customer satisfaction for property maintenance, street sweeping and pavement maintenance services. If your looking for a well respected, professional family business to provide street sweeping or a variety of property management services, call us in central NJ at 732-886-1940 or Northern NJ at 908-730-7888. You can grow with us…or we’ll just provide our magic with street sweeping! Our management team at the CAI Beach Party. Come join us at the CAI Conference and Expo this weekend! Pre networking reception will take place on Friday, November 7th, followed by the tradeshow on Saturday, November 8th. This years theme is “all things New Jersey”. Stop by our booth to see how we pay tribute to this great state! Spin the wheel and enter to win a gourmet gift basket. Garden State Parkway North to Exit 127. Keep right onto NJ-440S. NJ-440S becomes 287N. Take 287N to Exit 10. 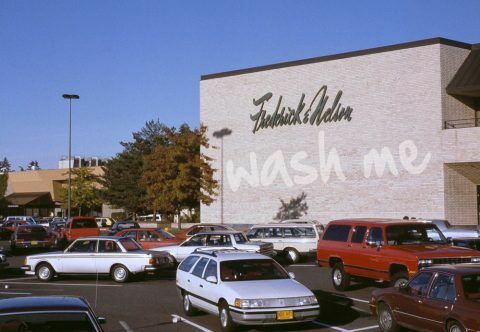 Left onto Davidson Ave. Left onto Atrium Dr. The CAI Conference & Expo is a great opportunity to network and learn about all things property maintenance. For a complete list of attendees and floor layout, click here. We hope to see you there! The 2013 CAI-NJ Conference & Expo has expanded and will take place at the Revel Resort & Casino in Atlantic City as opposed to the Raritan Center. The event will take place from October 23-24. The show offers attendees a chance to mingle with property maintenance and other business professionals. Plenty of networking opportunities exist outside the tradeshow floor. For the first time, CAI will host the CAI Conference Golf Outing at Galloway Country Club on October 23. Later that evening, the annual Pre-networking reception will take place at the Revel. Another first is an after party hosted by Rezkom, C&L Services, JGS Insurance, High Tech Landscapes, and Hill Wallack. 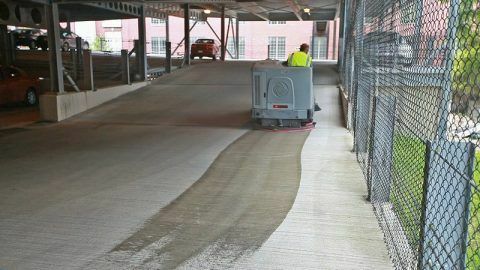 All these events give people the chance to interact with other companies that offer property maintenance services such as line striping, crack filling, seal coating, and sweeping. Attendees will run into someone who either needs or is in need of property maintenance services. On October 24, those who are interested will be able to walk the tradeshow floor and gather additional information about property maintenance services and their importance. Other businesses such as engineering firms, accounting firms, and lawyers will be in attendance. Educational seminars covering various topics will be offered through out the day. Also going on is the first ever CAI Food Drive. Whomever is interested may donate non perishable items such as canned goods, pasta, and salad dressing. Many people in Atlantic City are struggling to put food on the table. This food driver is a way to help those families that are in need. To view the flyer, click here.